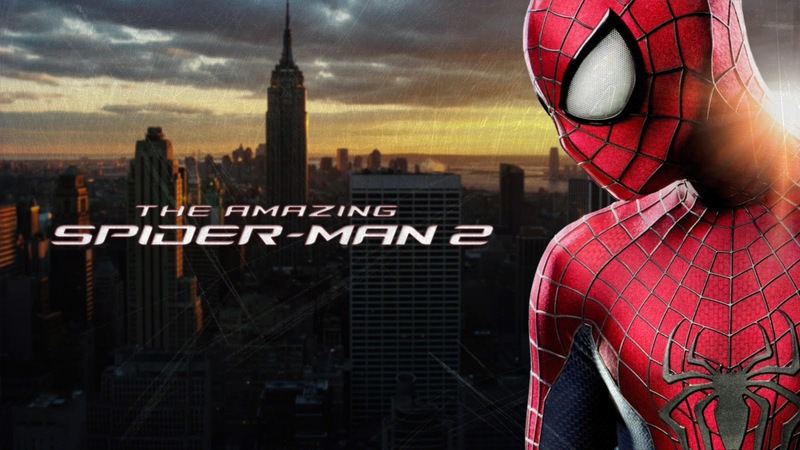 Amazing Spider-Man 2 - Directed by Marc Webb. Written by Alex Kurtzman, Roberto Orci, Jeff Pinkner, James Vanderbilt. Starring Andrew Garfield (Peter Parker / Spider-Man), Emma Stone (Gwen Stacy), Jamie Foxx (Max Dillon / Electro), Dane DeHaan (Harry Osborn / Green Goblin), Felicity Jones (Felicia), Colm Feore (Donald Menken), Paul Giamatti (Aleksei Systevich), and Sally Field (Aunt May). Following the events of The Amazing Spider-Man, itself a reboot of the franchise that not only made an absurd amount of money from viewers but also made fans cover their eyes to avoid the absurdity of the third film. After Spider-Man 3, things were irreparably damaged and a fresh start was necessary. While I felt Marc Webb's first attempt had quite a bit of flaws in it—mostly due to pacing issues—I was immediately of the mindset that he was trying to cram everything into the first film to make room for the second. The followup, instead, would be the real one to see. Is that the case? Did this pan out, or did it fall short like the first one did? Maybe he isn't actually dead, maybe he isn't. If he is, then I think that was a big mistake to do. If he isn't, then I think this was pretty pointless. I like Chris Cooper's Norman Osborn, so I wanted to see more of it. While I'm an advocate that the mechanical suit makes INFINITELY more sense than the skin polymer or just making Rhino another human, I think the actual design came off way too clunky. You mean to tell me that Oscorp built so many things that are extremely efficient and yet they thought this monstrosity was a good idea? Someone needed to go back to the drawing board on that one. If you've followed my previous opinions on comic book movies, you should know by now that I love cameos and using characters from the comics in roles. However, here is an exception to the rule. This was in no way Felicia Hardy, aka Black Cat. Instead of doing anything remotely like her character, she was just a pointless secretary, overall. I see no value in that. They should have gone with someone else that doesn't waste such a more complex character. Perhaps this spot could have been filled with Lily Hollister instead. This is kind of minor, but it bugged me. Why wasn't Ashley Kafka a woman, instead of reminding me of Dr. Kaufman from Tomorrow Never Dies? The character is a woman in the comics and if the whole reasoning was to try to keep women from being killed or villainous in the movie (note: the three primary women are May, Gwen and Felicia, all pretty good people), then that's a shame. This was easily the best action out of the Spider-Man franchise so far, in my opinion. Something that was always missing from the Tobey Maguire era was that sense that Peter was mobile and flexible, which they captured here magnificently. Each set piece has something different to offer and delivers. In particular, Electro's effects were pretty flawless overall. This is just another reminder of how far cinema has come in such a short time frame. We used to have painted backgrounds and minimal sets that were doing their best to give us even basic scenery. Now, we can have a living god of a human made out of pure electricity fighting a masked vigilante through a power grid and it looks believable and unbelievable at the same time. This is probably going to split people, but I liked a lot about this interpretation of Harry Osborn. While it kind of irks me that he seemed almost entirely unlikable and not as much of a good friend that Peter is losing, I think his character was really charming in a lot of ways (speaking from a writer's perspective). Making his deformity the reason for the goblin appearance makes a lot of sense and I'm really glad that the glider and bombs were kept in place, rather than being discarded for the fireball throwing Hulk creature like in Ultimate Spider-Man. Sure, those tools weren't really set up as well as they were in Sam Raimi's Spider-Man, but I'm okay with it overall. Not everything needs to be explained in vast detail. Hans Zimmer's trumpets and horns for the main, joyous Spider-Man theme is still ringing in my head as I'm writing this up. Do do doooo...doo...do do dooooo.....I love it. Funny jokes, yet again. That was missing from the older films. The laughs from J. Jonah Jameson in particular were favorites of mine. One of the issues I had with the first movie was that there wasn't enough room to develop a bond between Peter and Aunt May. Sure, I liked the reference at the end with the eggs, but like most people in that film, Peter merely meets them once or has maybe one scene with them and you're supposed to care. Here, since the groundwork was already put down in the first movie, we were able to see Peter and May interact with each other like a normal son and surrogate mother around those ages would. This is my biggest plus. My main thought throughout this film, repeatedly, was that it felt like I was witnessing a comic book come to life. No, that does not mean that it had stupid panels popping up on the screen like Ang Lee's Hulk or that it was campy and silly and didn't take itself serious like Batman and Robin. Instead, this felt like a film equivalent to an issue of the Ultimate Spider-Man series. Spider-Man joked like he should, enjoyed himself while being in the midst of fantastic action sequences, and the pacing was all there similar to what a seven issue story arc would be. Very much so. This was better than The Amazing Spider-Man and so far, the truest representation of the Ultimate-inspired franchise so far. It was fun throughout the entire thing and as a big Spider-Man fan for essentially my entire life, it has me excited to see the next installment and satisfied with what was given to me for this one.